Disasters happen. When damage due to weather or faulty construction happens, homeowners need a trusted source to turn to for repairs. That is where a restoration franchise comes in. 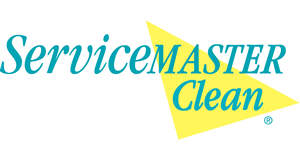 The type of cleaning and maintenance service that restoration services offer presents a sound business opportunity for the discerning entrepreneur. If you are interested in being your own boss, and helping people to repair their homes when accidents happen, a restoration franchise could be the ideal way to explore your entrepreneurial dreams. Nearly half of contractors said water damage restoration was their primary business. Two-thirds of the work done by restoration companies is residential. 61% of restoration business owners expected annual revenue in 2016 to exceed $250,000. 38% of restoration business owners earned $100,000 or more in 2015. Restoration franchises can specialize in certain areas of damage, caused by such things as water, fire or mold, or they can help assist homeowners in cleaning from all of these areas and more. There are also restoration franchises that concentrate on junk removal or green-cleaning. The reasons homeowners need the cleaning and maintenance services of restoration franchises varies from natural disasters to household accidents. Why Consider a Restoration Business? The need for restoration franchises to handle the varied cleaning and maintenance issues that come from water, fire, mold damage and more is expected to increase as weather patterns shift and lead to a higher incident of natural disasters that affect homes. Helping people recover their livings spaces can be a satisfying and fulfilling career for an entrepreneur who wants their own business, especially one that provides peace of mind.